Steve Seidensticker was President of the San Diego Model Railroad Museum in Balboa Park for 11 years and is now owner and operator of the Gopher Canyon Line which is a G Scale outdoor garden layout in San Diego, CA. As the facebook page describes, the trains are about the size of a “loaf of bread”. 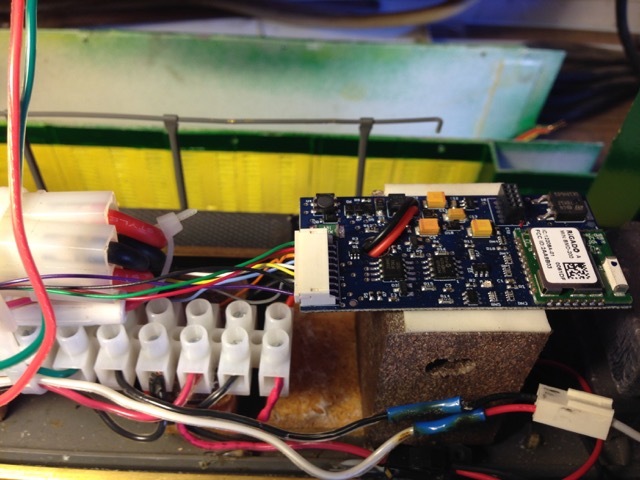 Steve has installed a BlueRail board in a scratch-built GG-20 on a GP-9. 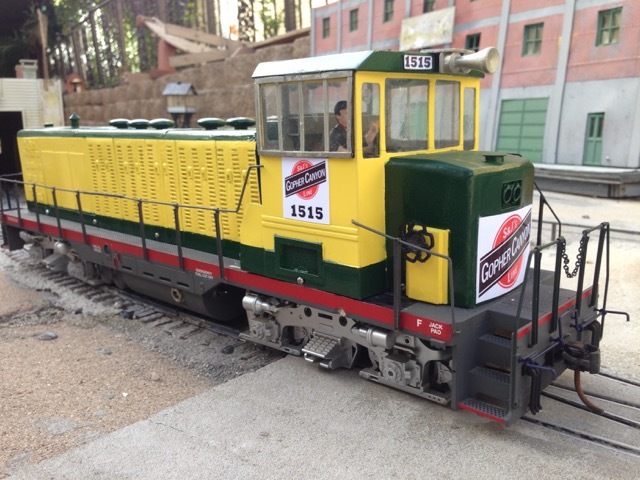 Steve recently ran this loco at an operating session at Gary Siegel’s garden railroad in Santa Barbara. 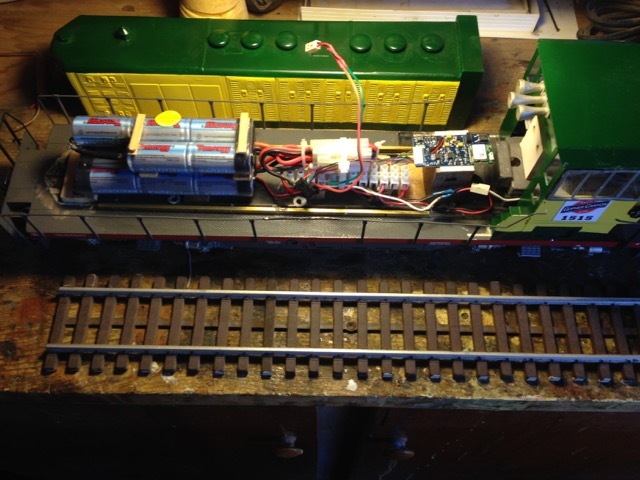 With the BlueRail board, the loco is able to pull a maximum of 14 cars on a level track and 7-8 cars on an incline. Here are some photos of the loco, which is believed to be the first bluetooth “loaf of bread”. The Gopher Canyon line is a fictitious standard gauge RR that connects the Wisconsin towns of Ashippun (both Old & New), Horicon, Ixonia, Green Bay, and Gopherville.